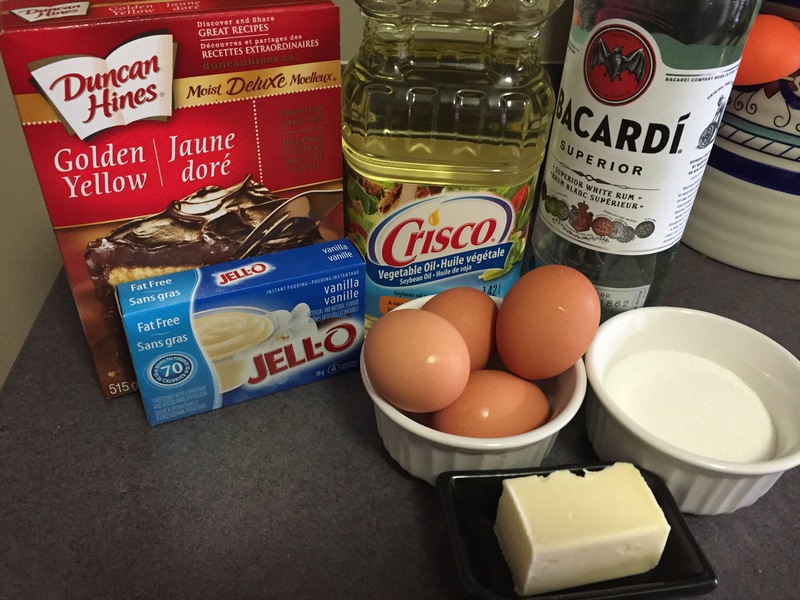 Blend the cake stuff. Blend the glaze and set aside. 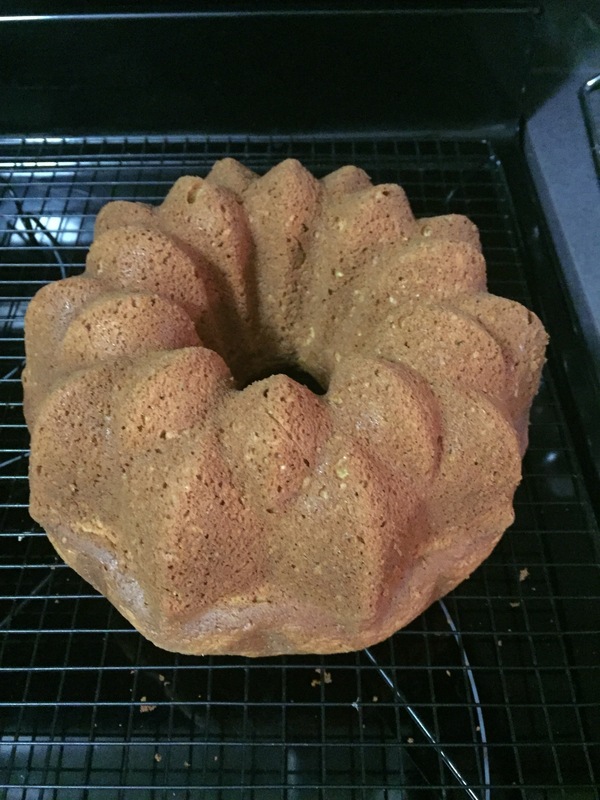 Bake at 350°F for 50 minutes in a Bundt Pan. Don’t forget to prick the cake with something like a tooth pick to make sure it is cooked (the tooth pick should come out clean). Uses butter knife and run it around the edges to loosen up the cake. I usually brace the cake with the oven mitts, turn it over, and then set the cake & pan on the cooling rack, then I gently lift the pan up. 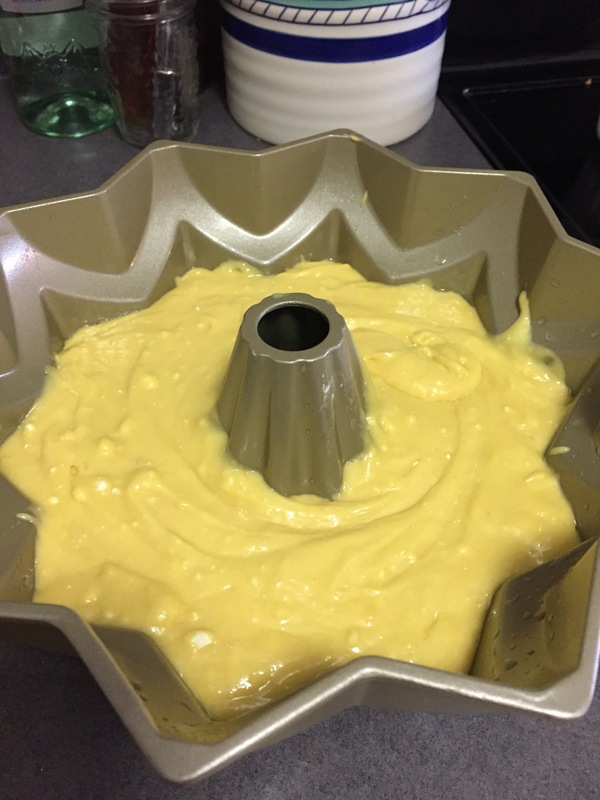 A second option is to put a plate on the pan, hold tight, and turn it over and then set it down on the table and the cake should also come out cleanly. So yummy! So voila and bon apetite! Credit to Mikey for making this so often when you were younger. 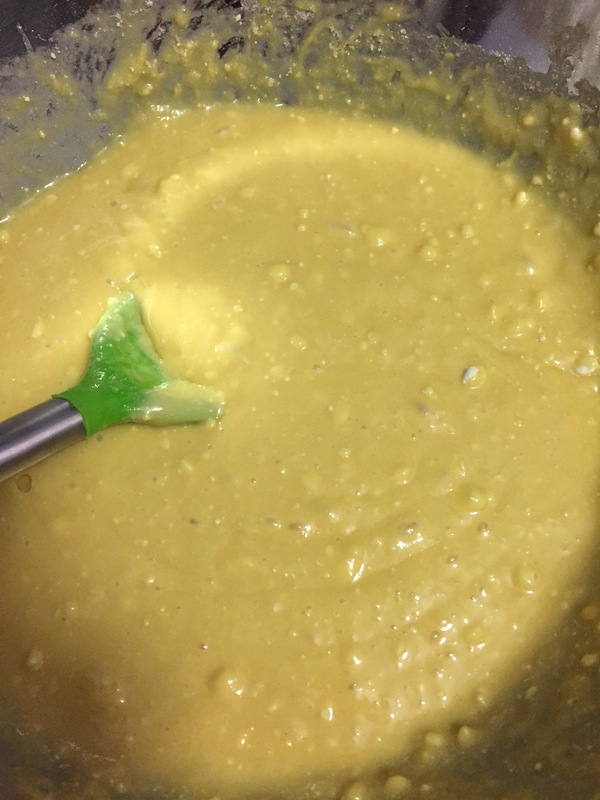 It;s a very yummy recipe. I don’t think Mike made rum cake much until I’d already left for university. But yea, it’s his fav go to thing. Isn’t it moms recipe? That’s who gave it to us.